Save settings in the registry – So far, all configuration settings have been stored in XML files. 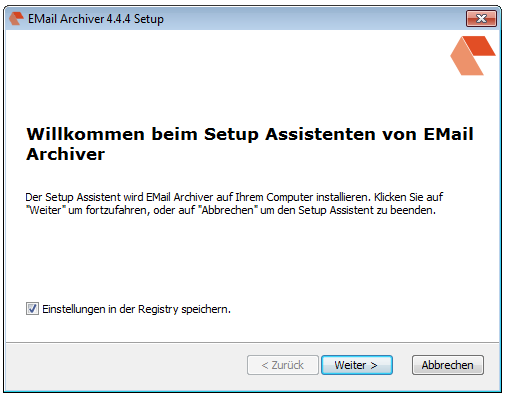 Now there is also the possibility to specify during the installation whether these are stored as before or in the registry of the computer (standard). When MS-Outlook is started for the first time, these general settings are copied into the local user’s key and administered there for the logged-on user. The configuration can also be set to “Read-only” – so the user himself can not make any configuration changes and only use the predefined profiles. 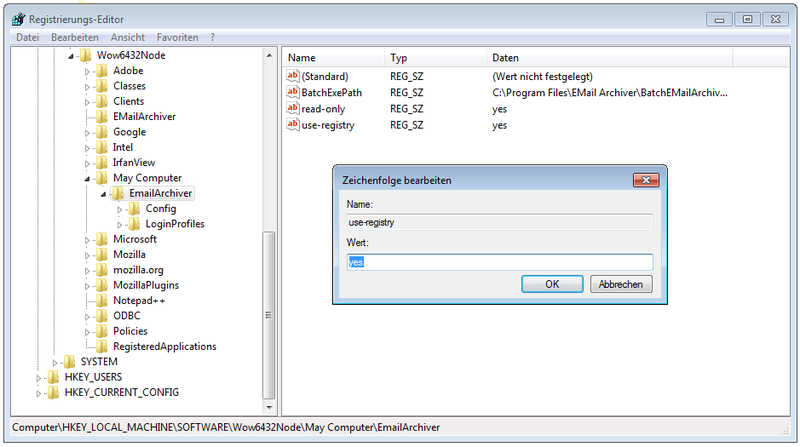 ToRegistry.exe – To facilitate the transition, there is the tool “ToRegistry.exe”. This allows existing XML configuration files to be read out and transferred to the registry. Transmits a single selected configuration or login file (XML) into the registry – The type is automatically detected and written to the correct node. If the application is run as an administrator, you can select whether the configuration is transferred to “HKEY_CURRENT_USER” or “HKEY_LOCAL_MACHINE”. If “HKEY_LOCAL_MACHINE” is used, the key “use-registry” is also set to “yes”. For tests, the FileConverter Pro Testserver hosted by us can be used – this is already pre-set in the EMail Archiver after installation.